Uruguay wanted to visit for a long time and all attempts to persuade me not to go to nothing lead . Yes, in Uruguay not something that that is worth coming here just for tourism purposes . I'm rooting for this team in football since 1998, when he was the World Cup in France. It is the only country in South America , in which I wanted to visit and sincerely regretted. After landing at the airport of Carrasco , you will not see some unfamiliar landscapes. A feeling that you have landed somewhere near Moscow - plain and lots of trees in the background. One difference is that in February we have -20 , and then 25 and there is a feeling that you just changed the weather. 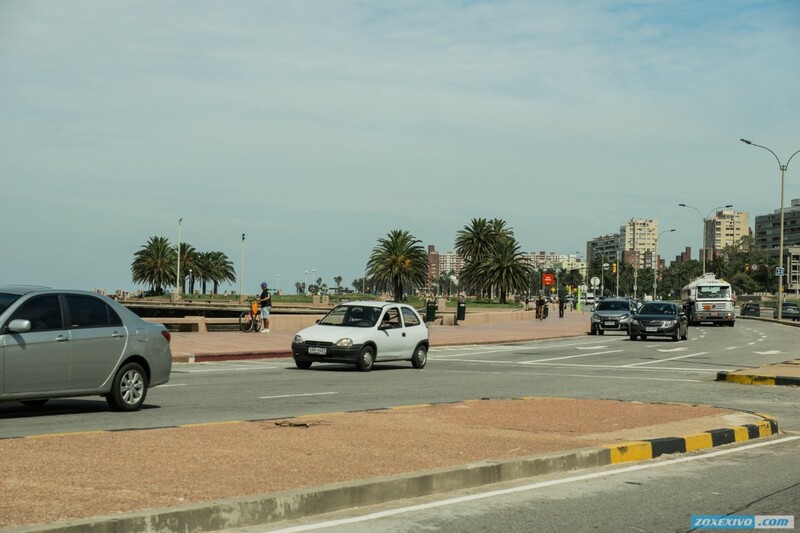 Montevideo - quite large and modern city . Since Uruguayans are descended from Spanish settlers , then save them as features in appearance, and in architecture. City reminds any Spanish city . I was just in Barcelona, ​​so I can say that there are similarities . Most enjoyable was to see people's faces. After Chile, where the population does not look very standard you get literally in Europe. Knowingly Uruguay called the South American Switzerland. Girls dressed stylish man in a blue shirt , as if it were a city businessman . Old people look too good and very nice people and their eyes are very clear and literally glow . Maybe I really lost touch during their stay in Chile of European appearance, but once you relax in Uruguay . People will not hurry , many handy thermos and a wooden cup with a mate . I do not know how well you can , but they drink it, and each shares with its neighbor . A feeling that they convey a piece of cake to each other and people are happy to eat it . But this is the usual grass ! And now a few photos for football fans . You may not read and do not look unnecessarily for most people , this information is useless and meaningless. Stadium Team Defensor Sporting. Not allowed to go inside because there was organized playground, at school and go into the stands was problematic. And this is all the photos , but the other team. Uruguayan Liverpool (FC Liverpool Uruguay), sister of the English club , located at Estadio Belvedere. At first , I thought that the stadium will be at least a little normal , but it was not there . This is not a stadium , and just pathetic . Yes , the grass is there, but the rostrum ... In my own playing Schatura team Division 3 ( East). So it will be better stadium , and then the team plays in the first division . So we decided to visit some place with friends. The problem was that we did not know where to go, we were very worried about this, we were looking for interesting places where we could spend an unforgettable time and so that this trip could be remembered in our hearts. We took note of a lot of the recommendations of our relatives, someone said to go to Turkey, someone to China, and someone suggested to the North Pole. We had a long thought about where to go from the options that were offered to us by our beloved relatives. Unfortunately, nothing satisfied us from the whole list. One day I came across an article from a newspaper, which said that some interesting event was taking place in the capital Uruguay, Montevideo. I saw a lot of interesting photos that attracted me. I showed my friends and to my surprise everyone enjoyed it. It was decided to go on a trip to Montevideo. 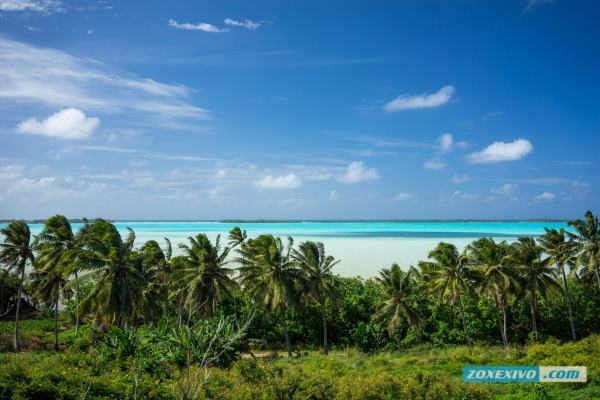 When we arrived there it was very hot, it is immediately obvious that the place is tropical and the climate here is appropriate. Beautiful palm trees, smiling people. In general, it looks like an ordinary place. Liked the sights. It may seem to some that there are few of them, but in fact the city has its own history and it is very interesting. We rested there for two weeks and all the 2 weeks it was hot not to say that we were right there dying from the heat, it was bad but it was an unforgettable time. Also, we decided with friends to bypass almost the entire city, we had 2 weeks for it. As a result, we learned a lot of historical facts met with cool people. Saw life from the side. When you look at people who live in another corner of the world, you understand that you feel the whole planet. In general, my friends and I really enjoyed this trip. We got a huge amount of pleasure that helped us develop the culture of other people. Perhaps, we will give recommendations to our friends, relatives, and our colleagues. This place is really very good and everyone should visit here. And most importantly, it is a process of relaxation and pleasure that you get. Of course, we also had negative moments in the process of rest, but they were associated only with the purchase of some thing, a misunderstanding on the part of the seller and us. And so everything went well and smoothly. We didn’t even want to leave, because this is really a very amazing place that deserves every human attention. I was at the Uruguayan world football match, which, the match, was held in our city. I met the natives and they made such a strong impression on me that I wanted to visit this country, in a part of South America! To begin with, I got to Montevideo without any incidents. The plane made a planned landing, all of us - the tourists - left it aboard. And an hour later, in a comfortable and reasonably fast taxi, I drove up to the city itself. The city met me on a warm summer day, it was +27 degrees, but no sweltering heat was felt, the sea was splashing nearby and coolness was coming from it. He settled in the hotel, the average level, but with a clean room, more or less new furniture. For the money came out quite acceptable. 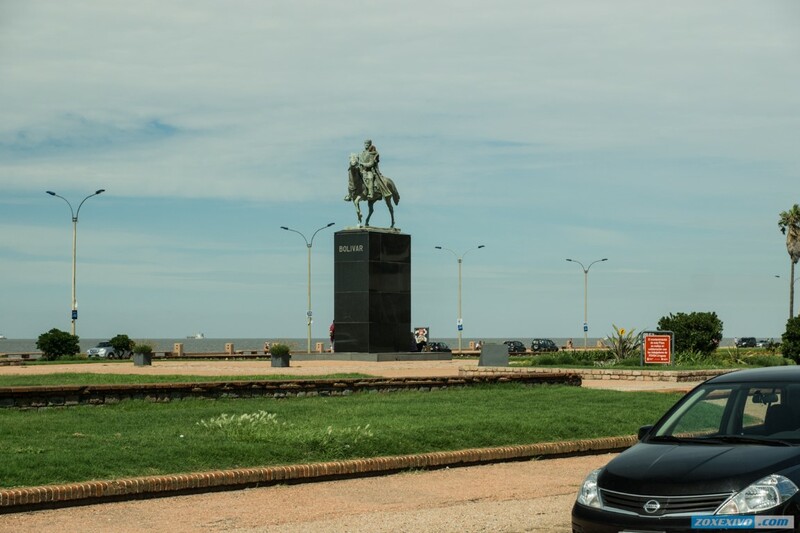 In general, Uruguay, as I understood later from my stay here and Montevideo in particular for the money for a Russian tourist, is the very thing, there is no astronomical value, as in Spain itself. But the level of service and in general industrialization as a whole does not lag behind most of the countries of South America, and leaves some far behind. In Montevideo, on the first evening of my arrival, I went to a local bar, next to my hotel and ordered a couple of alcoholic cocktails, with low alcohol content - everything went very well, they added local fruit and some juice. For the money came out a very ridiculous amount of 2 euros. The city is quite large, there are cafes, night clubs and many other attractions. But I, after settling down in my room, spent most of my time walking around the city, seeing local sights and wallowing on the beach under the scorching sun. The city is almost everywhere sick football! Everywhere there is a graffiti with the symbols of the football club of Uruguay, a lot of football fields with a neatly trimmed lawn. In general, Uruguayans are proud of their football history and rightly consider themselves one of the strongest teams. 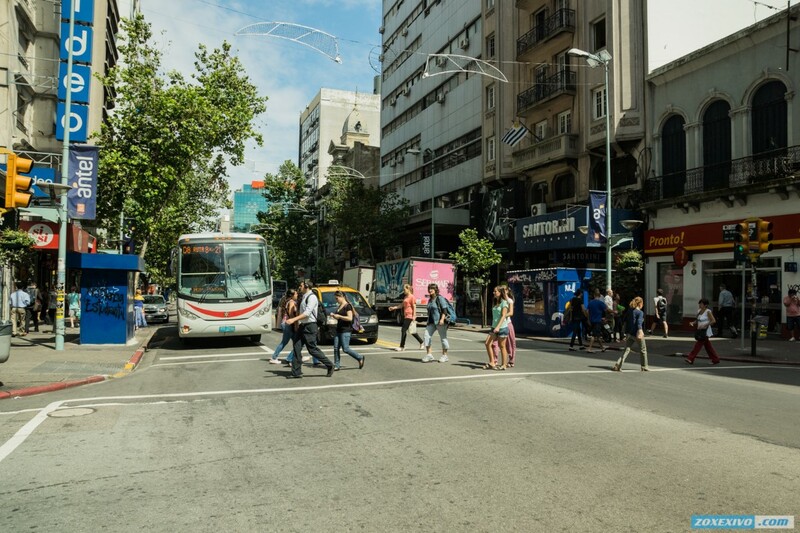 Therefore, in Montevideo, it will be especially comfortable for those who are also not indifferent to football. But also for people like me, not zealous fans - the city provided an excellent rest in the form of a beach. The sand on the beach is of exceptional cleanliness - everything is cleaned, there is no littering anywhere. I usually lay on a lounge chair, but at the end of my rest I smoothly moved to the sand and was already roasting on it. :-) Loved the local cuisine. In Montevideo, ridiculously small prices for fish dishes - often these dishes are prepared right in front of you. So, when I cooked half of a huge fish, for which I paid what = around 3 euros. Very tasty, just added lemon juice and cooked on the grill with a lattice. to taste, she reminded me of something between a carp and a pike. 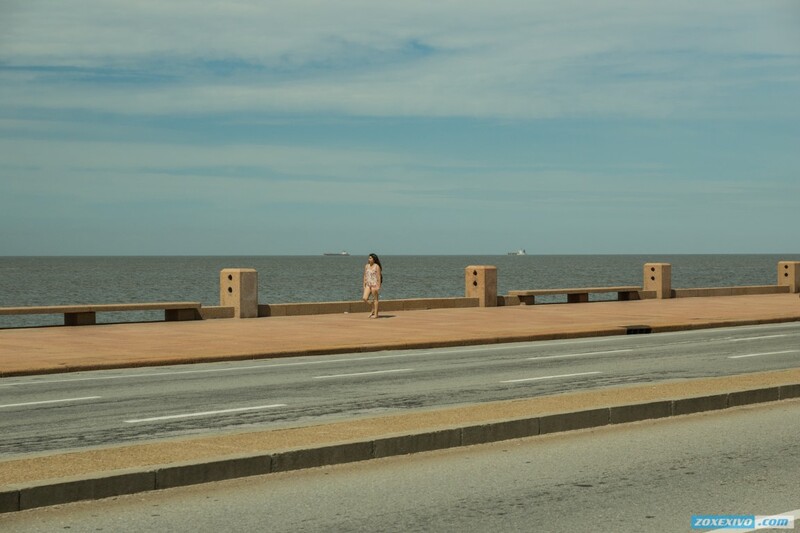 My vacation went unnoticed in Montevideo. When I flew back to my city, I felt how I was charged with the energy of South America and the freshness of the city standing on the seashore, which met me hospitably. The feeling of relaxation, which says the author of the photo essay on Uruguay and Montevideo at the very beginning, really is. And it comes from a simple page turning. The pacification reigning in the capital, is transferred even in pictures. And I was struck by two things: half-empty roads, which definitely have no traffic jams, and tourists taking photos of each other. I was surprised, because at the word "capital" I always remember clogged Moscow. I thought Montevideo would be the same metropolis. But no ... But this is probably good. Take a break from the bustle there. 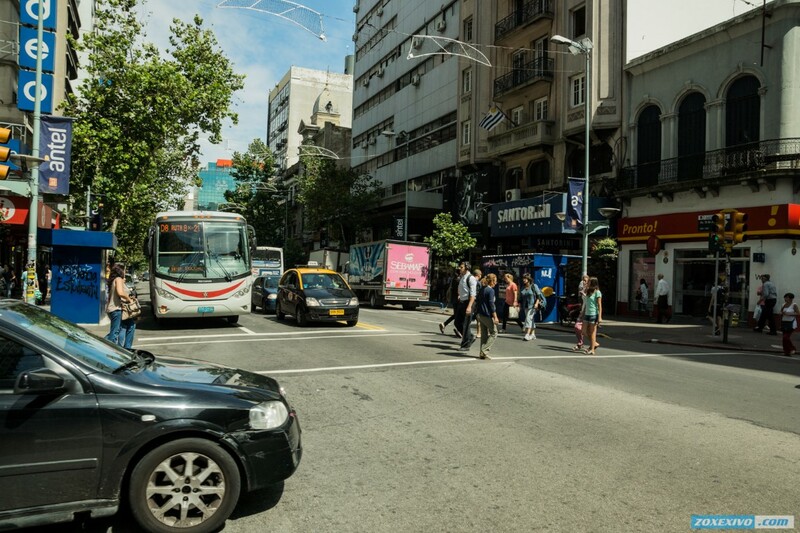 As for tourists with cameras, there is some contradiction with the author, who said that there is nothing attractive in tourists in the capital of Uruguay. If not, what do tourists do there? To the Uruguayan beach, oddly enough, visitors are completely indifferent. It is clean, well maintained, but there is no large gathering of people there. Amazing Another oddity is the European type of flower beds, bright, smiling faces and ... palm trees. Honestly, at the sight of people waiting for birch and poplar, and then palm trees. No, their fan tops did not disappoint me. They look very beautiful. It feels, they are carefully looked after. 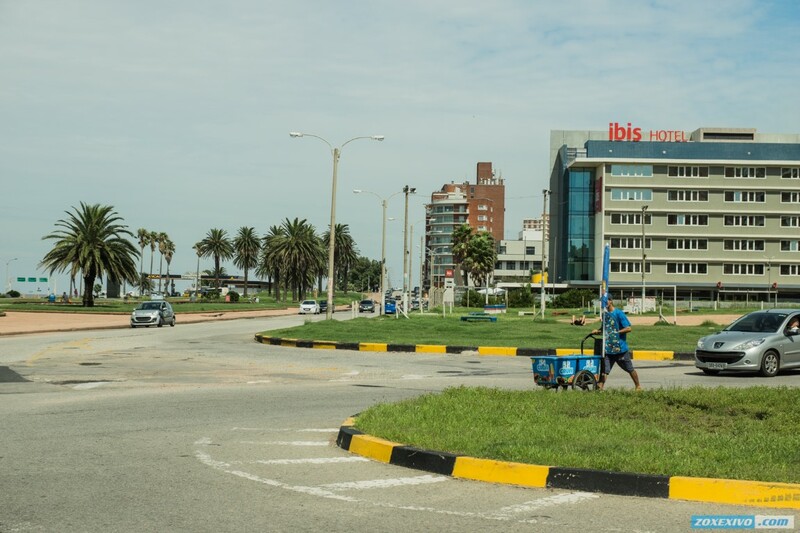 But somehow palms do not fit in with the overall picture that has developed in my head after viewing the pictures of Montevideo. Feelings, by the way, are twofold. 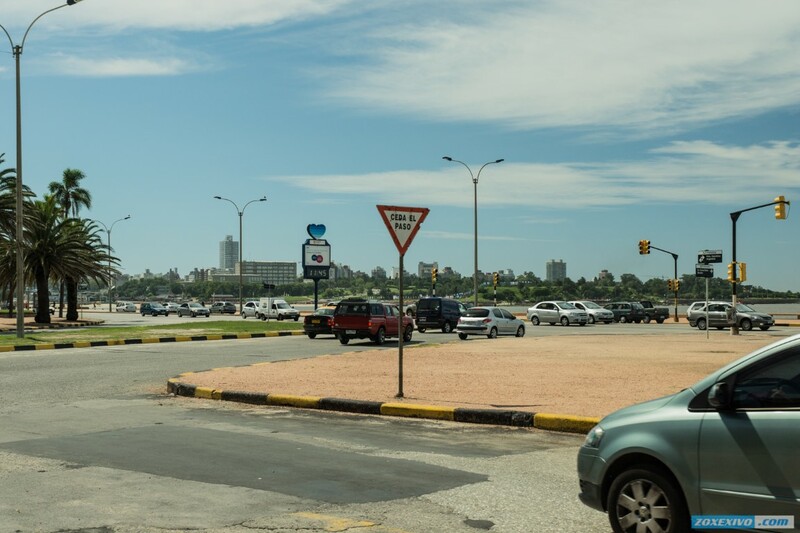 On the one hand, high-rise buildings with pedestrian zones, on the other - some old car comes into view and you understand: Uruguay is not a rich country. This poverty is especially noticeable in the Uruguayan Liverpool stadium. Tribunes are simply in a terrible state: wooden, shabby. True, it seems that it does not interfere with the local fans. The walls are painted with graffiti, and they are sick not only for the Uruguayan Liverpool, but also for the player of this club, who enters the field in a T-shirt under number 14. Such loyalty of the fans undoubtedly deserves respect. Sorry, the photos of the stadium were not taken during a football match. If it was filled with fans, I am sure that the pictures would have turned out to be as alive as the photos of Montevideo, with people and teenagers hurrying somewhere on roller skates. 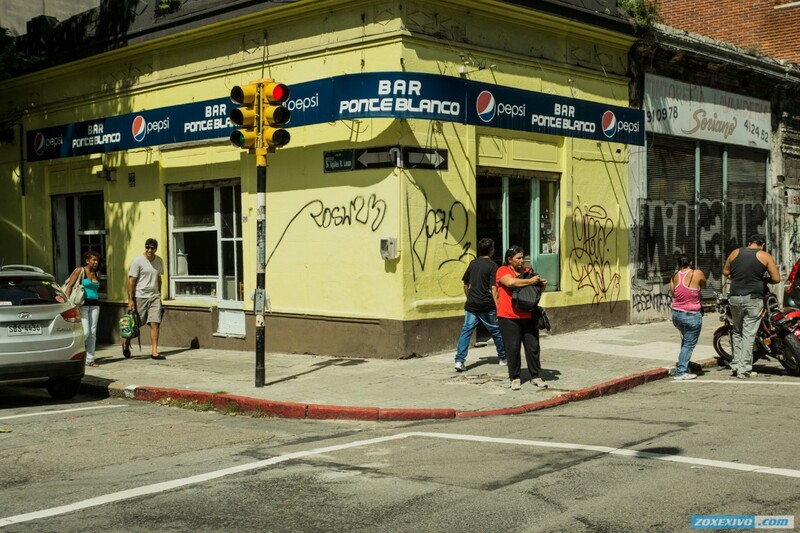 It was the people, not the statues of horsemen or high-rise buildings built in the Spanish style, that made this photo story about the trip to Uruguay interesting. 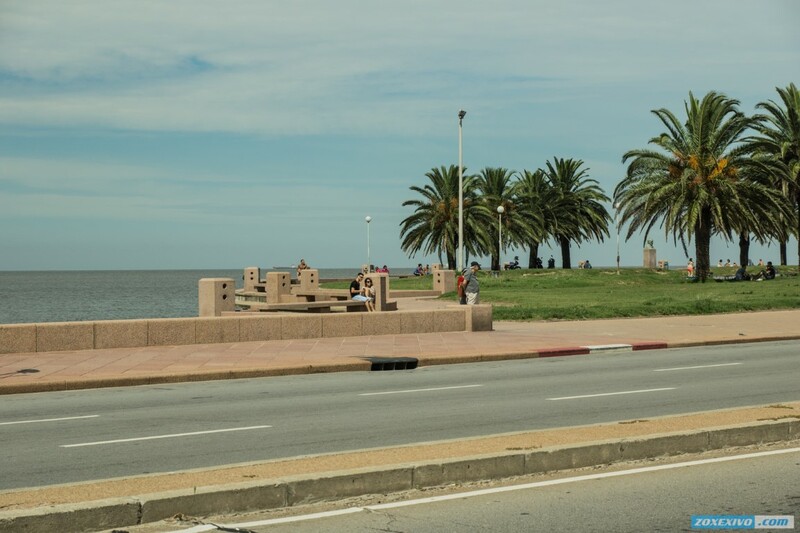 I was happy to look through the photos and now, hearing the name of this South American country, I will always remember the unhurried life in Montevideo. Familiar name of the country in terms of what have often heard it, knowing that it is in South America imagined her overgrown jungle backward and poor, where people wear a sombrero-hat with large fields. But looking at the bright pictures see advanced civilization, which is clearly not-so-very far away from the developed countries. And although many of the buildings and facilities are a bit worn, everything looks well-groomed appearance, which indicates the high culture of the local people. Like a rich vegetation, and it is with large canopy trees and many varieties of palm and if I'm not mistaken at one point had a big bush of aloe, which we have a potted plant. Well, a few words about clean beaches, do not see the scattered papers, packaging and other debris in one word great. This city is downright beckons, as the name itself brings something unusual. When geography lesson we were Uruguay and learned about its capital, then immediately remembered as such a title, especially the second part simply amazing. Would also like to note that this city really brings Spanish coloring, since it was founded Spanish settlers. The city and its residents are native Spanish heritage. This is a pretty big city, which is less than something similar to Barcelona and at the same time carries ancestral traits that can not be found anywhere else. Looking at the photos, which show the busy streets, even with houses and graffiti, still fall in love with him immediately. The streets are not wide pedestrians safely cross the road that hardly meet in our major cities. This shows that there remained identity and humanity. Faceless skyscrapers tower adjacent to the low houses, so that past and present can be perfectly combined. This city is very green, for me it is an indication that the nature and fresh air here is under control and in favor. 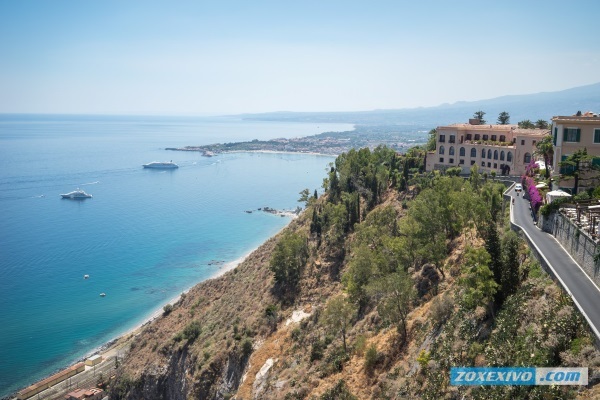 I would also like to note that the promenade and beaches will satisfy even the most fastidious traveler. Long wanted to visit South America. Like the name of the city of Montevideo. I somehow appeared association with Montenegro. After the word "Monte" means both cases in the "hill", and is apparently caused by terrain features. 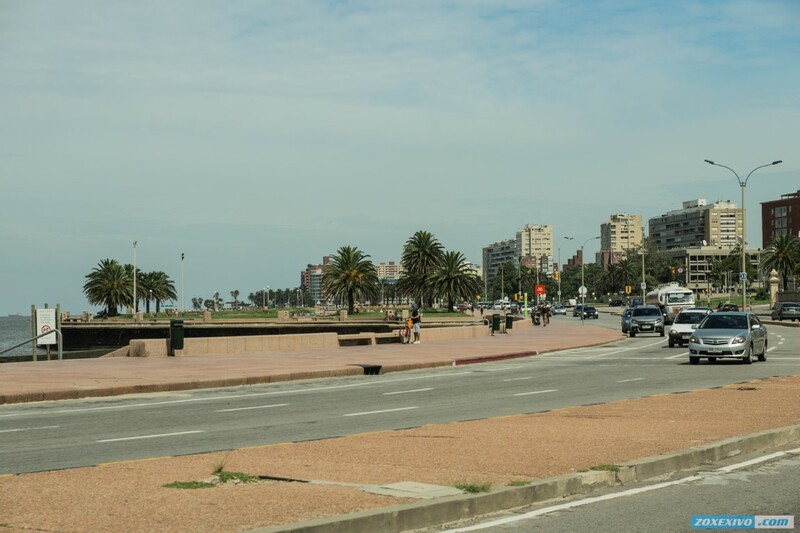 Indeed, Montevideo strongly resembles European cities. 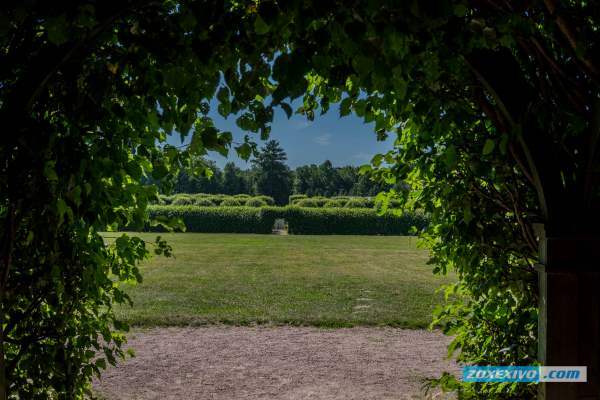 Perhaps because of the trees that were brought to the city from Europe, but most likely due to European settlers who moved to the area in the 18th century. I, for example, he recalled Stockholm - just clean the streets and many beautiful buildings. That's just not the palm trees in Stockholm. Montevideo And they give a special charm. It is also interesting that the city has about 20 sister cities in different countries: Argentina, Brazil, Spain, Canada, China, Colombia, Costa Rica, New Zealand, USA, France, Sweden. In Russia, a sister city of St. Petersburg. Of well-known celebrities who were born in Montevideo can be called Uruguayan actress and singer Natalia Oreiro. Regarding the material - is the national drink of South Americans, in which a lot of caffeine. There are many vitamins and it has a positive effect on the psycho-emotsionalnoe human condition. Perhaps that is why the locals are so friendly and relaxed. Fascinating photo journey :) Beautiful and spacious city, a city with an incredibly rich and eventful history, the town beach, probably here and should look like a tropical paradise :) City surprisingly clean, and if it did not take off just a traveler, it would be an effect certain zakazushnosti and advertising. What reminds old Tashkent post-Soviet era, and let the one without the sea but the atmosphere is very similar and close in spirit. Even the architecture is very similar, from soviet frankly distasteful to the beautiful communities of corporate buildings and sophisticated buildings probably still the colonial period.